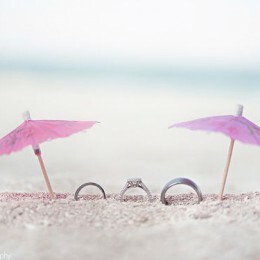 We want our wedding day to be absolutely perfect including the appearance. 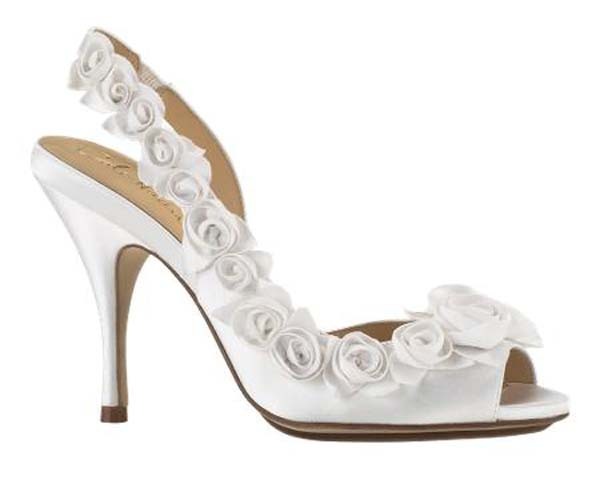 We are presenting you the key tips to consider when going wedding shoes shopping. 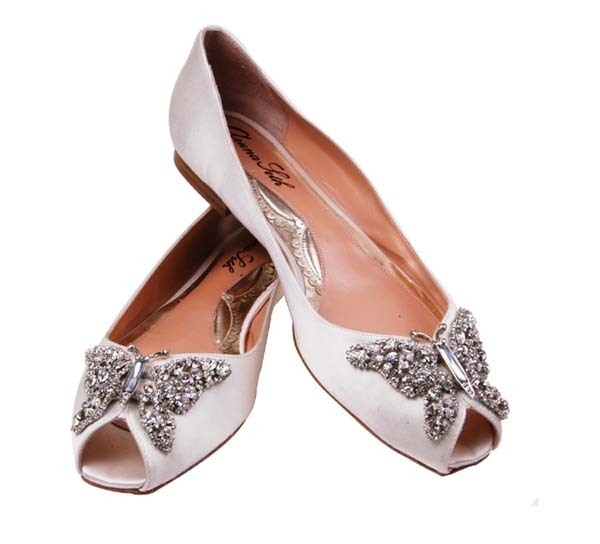 The perfect wedding shoes imply many criteria and the main one is comfort. Imagine you will be walking down the aisle, posing to the photographers, greeting your guests and dancing from the morning to night and the main pressure will fall on your feet. 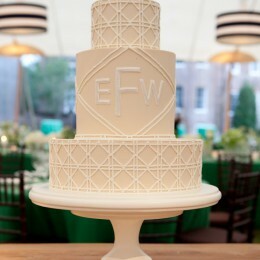 Considering hours and hours on your feet, pay attention to the way the shoes feel on your feet besides the appealing look and factor of matching the wedding gown. The height of the heels is another important thing to consider. 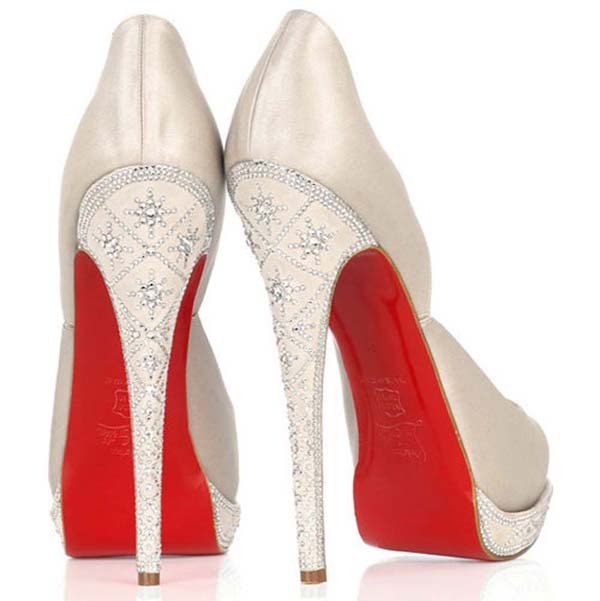 As we mentioned in another article, your wedding dress will be adjusted to the height of your shoes. 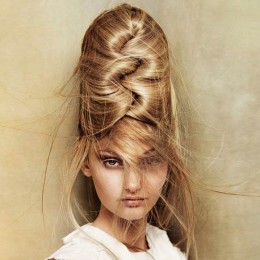 So, you should decide on the pair you will be wearing a long before the last dress fitting will take place. If you want to add some height but afraid of wearing the stilettos, you may opt for the platform heels or lower kitten heels that are much more comfortable. Besides, anyone will barely see your shoes under the long gown. In case your fiancée is nearly the same height as you are and you look for the flat shoes, make sure to choose some beautiful ones with the embellishment. 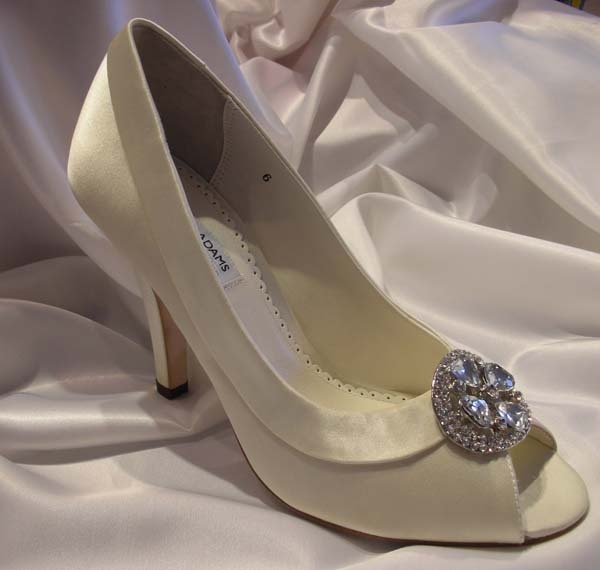 Silk and satin are the traditional fabric for the wedding shoes. But, your own taste should play the major role in the decision-making process. 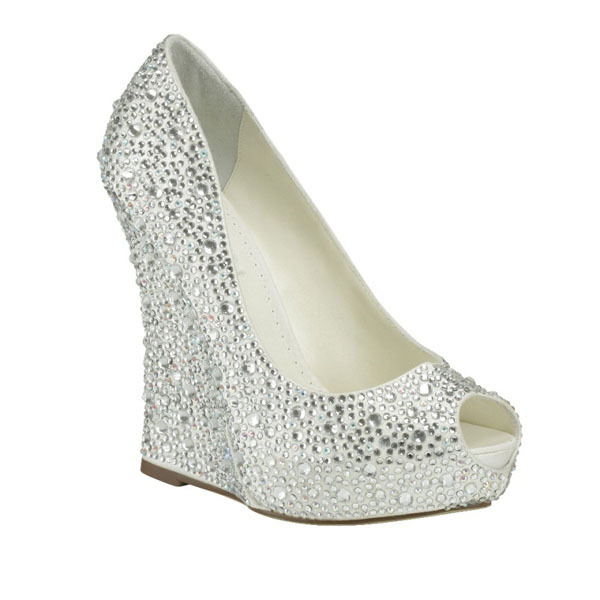 In case you are going to wear the non-traditional wedding dress, opting for the traditional shoes would look at least odd. So, give free rein to your fantasy. 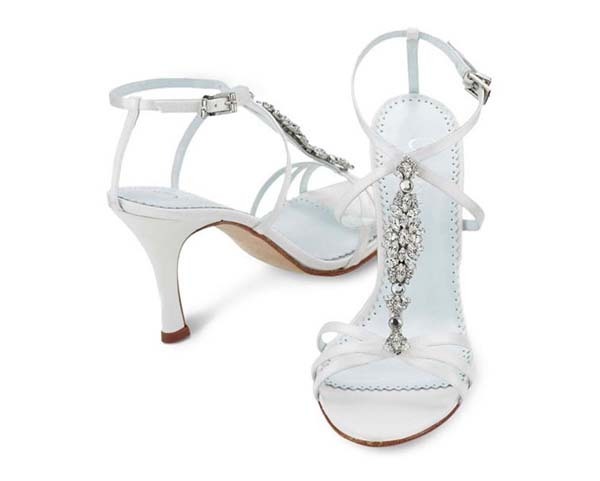 There is no doubt that your bridal shoes are supposed to match your dress the overall setting of your wedding. But don’t forget about the personal style by add the touch of your unique personality to the shoes design. Remember, it is your day that’s why you can do whatever you want. When making the plans on wedding shoes shopping, try to set the time at the end of your day. This could be explained by swelling of our feet by the end of the day and the same thing will happen to you on the wedding day. So, you need to try on various shoes when your feet are at their worst condition.